Peter Womersley, architect with Ove Arup, engineers, 1963-5 with some later additions (see Notes). Late Modernist football stand. Board-marked concrete and engineering brick. Highly distinctive construction comprising 4 V-sectioned vertical fins supporting wedge-shaped stand and cantilevered canopy. Turnstiles to either end with inverted pyramidal canopies. Accomodation and bar at ground level, with open-tread concrete stairs to either end. Concrete and timber-board seating. The Gala Fairydean football stand is an outstanding work of Late Modernist Formalism in Scotland. The building is an important part of an international trend toward a more sculptural, aesthetic approach to architecture, abandoning pure functionalism and moving away from the earlier International Modernism of Le Corbusier. The stand was designed by Peter Womersley (1923-93), one of the most renowned and talented post-war architects working in Scotland. The substantial concrete canopy is cantilevered so that when viewed from the pitch, it appears to defy gravity and balance precariously on the thin back edge of the seating terrace. 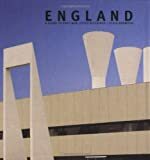 The building was described by Architecture Today in 1965 as a 'geometrical composition of unusual interest and subtlety'. Peter Womersley's work includes the nearby Bernat Klein Studio and High Sunderland (see separate listings), both recognised as major achievements in Scottish modernism. Working from the house and studio he built for himself at Gattonside, he was a major contributor to the post-war development of the Scottish Borders. Around the same time as the football stand at Gala was being designed, Womersley was working on the Nuffield Transplantation Surgery Unit in Edinburgh, which is equally sculptural in its treatment. Structural Engineers, Ove Arup have a close association with much of the best modern architecture and have worked closely with numerous internationally renowned architects to produce some of the most prominent modern landmarks across the world. Gala Fairydean Football Club was formed in 1908. The club played at Eastlands Park in Galashiels in 1919, moving to Nether Road in 1929. The club's first stand was demolished in 1963 and Womersley's futurstic but still relatively modest 750-seat stand was opened in November 1964 at a time of increasing success for Gala Fairydean. The building has been altered slightly since then including the addition of brick between the concrete columns to form an extension to the bar. Football plays a larger part in the social and cultural life of the country than perhaps any other sport with hundreds of local teams and vast numbers of supporters following the progress of the league teams each season. While early references to the sport date back to 1424, interest in the game expanded rapidly from the mid 19th century due to the availability of more social leisure time as well as changes to competition and rule making. This expansion was marked by the establishment of Scotland's oldest association football club, Queens Park FC, in 1867. The world's first international football game was held at Glasgow cricket pitch (now Partick Football Club) against England in November 1872. The Scottish Football Association was founded a year later in 1873 which was also the first season of the Scottish Cup competition. The inaugural season of the Scottish League occurred in 1890-91. The establishment of professionalism to standardise the varying forms of football in 1893 led directly to today's modern game. There are few early buildings associated with football surviving, due in some part to the recommendations of the Taylor Report following the Hillsborough disaster of 1989, resulting in the banning of standing terraces at major football stadiums.